Thu, January 17, 2019 6:00 P.M. 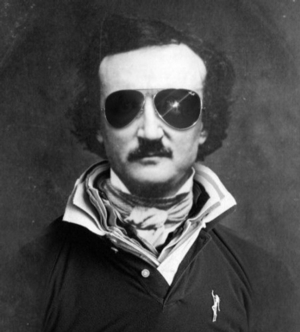 Celebrate Edgar Allan Poe's 210th birthday with the Raven Society! Join us for a night of merriment, inspired by the literary genius of Poe, in Parkway Central Library's Rare Book Department. Enjoy light bites, drinks, and good company. This event is a Raven Society exclusive – Ravens and guests of Ravens welcome! The Raven Society is Philadelphia's premier group of literacy lovers and curiosity connoisseurs who share a common passion for supporting the work of the Free Library of Philadelphia. Join today! Your support makes possible the critical resources that the Library provides across the city.